If you still think tequila is the hangover-inducing spirit of yesteryear, think again. Americans are consuming more tequila than ever before. In fact, after whiskey, it’s one of the fastest-growing spirits in popularity. Fortunately, you don’t have to spend a fortune to enjoy a high quality bottle of tequila. Made exclusively from blue weber agave plants, tequila’s flavors are mostly determined by the terroir and altitude at which they are grown. The pineapple-like cores, called piñas, are baked in either traditional brick ovens or by steaming in metal autoclaves, almost like pressure cookers, before being fermented and distilled. Tequila must be produced in the Mexican states of Jalisco (where the town of Tequila is located), Nayarit, Michoacán, Guanjuato or Tamaulipas. GAYOT’s Best Tequilas Under $100 proudly showcase bold agave character along with nuanced notes ranging from green peppers and marshmallow to toffee. There are a mix of styles on the list — blanco, wood-aged reposado, añejo — from various regions and all bottles are priced well under $100. But don’t let the prices fool you — these inexpensive options are of top quality and have a smooth flavor. Enjoy them neat, on the rocks or in a cocktail, like in a classic Tequila Sunrise or in a spicy Kissyomama, check out our list for tequila cocktail recipes. And for those of you who want a high-end Mexican spirit, you’ll love our list of Luxurious Tequilas. This tequila might be worth a billion dollars, but you certainly won’t be paying a premium to enjoy it. Hailing from the Highlands (Los Altos in the state of Jalisco), Casamigos tequila is smooth and silky on the palate. 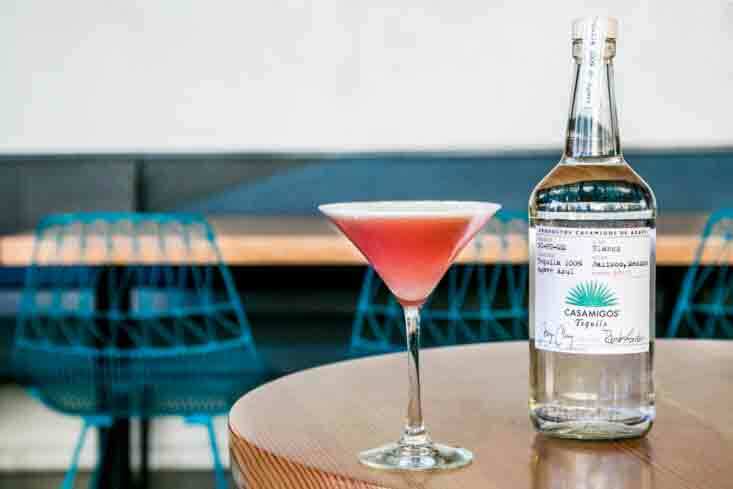 The brand — co-founded by George Clooney, entrepreneur Rande Gerber and real estate tycoon Mike Medlman — was launched in 2013 offering Tequila Añejo with notes of green pepper, white pepper, butterscotch, and marshmallow. With a sweet taste and full mouthfeel, it makes for a perfect after-dinner sipping spirit alongside dessert. It’s certainly one of our favorite tequilas, but it seems British beverage company Diageo likes it even more. A lot more. In an unprecedented deal, Diageo bought the Casamigos tequila brand in June 2017 for nearly $1 billion. Talk about expensive taste. Price: $33 for 750 ml. This award-winning brand respects time-honored traditions as one of the few tequilas produced in Guanajuato, Mexico. They say you can’t judge a book by its cover, but in the case of Corralejo, you can judge a bottle by its color. 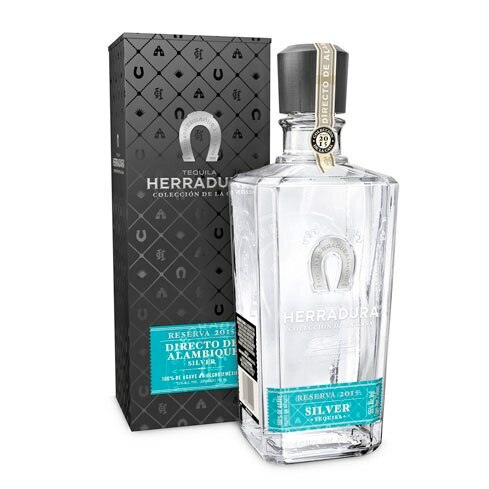 The clear bottle (Silver) is pure and clean just like the tequila inside; the blue bottle (Reposado) signifies healing and tranquility and alludes to blue agave; and the red bottle (Añejo) signifies prosperity, wealth and strength, which perfectly suits this strong tequila. Tequila Corralejo is made with 100% Blue Weber agave, which is handpicked from agave fields in Guanajuato. The agave is slow-cooked in stone clay ovens for 27 hours then rested for 12 hours before going to the mill where they undergo a double distillation process. But what sets Corralejo apart from other tequilas is that second distillation occurs in an Alembic copper pot still imported from Tomelloso, Spain. Corralejo uses this 400-year- old Charentais method of distillation, which was perfected by the French in distilling cognac. It allows for excellent retention of aroma and flavor. This is not your typical reposado with the kind of pear and apple aromas you’d expect from a brandy. Perhaps it has something to do with its production methods: agave is slow-roasted in traditional clay ovens called hornitos, which allow the agave’s terroir and other characters to remain in the liquid. A bouquet of sweet flowers and ripe fruits coats the palate. The distinctive dark fruit aromas of this Tamaulipas tequila are accented by hints of vanilla. The taste on the tongue is punchy and reminiscent of blossoming gardenia, which makes this spirit bright and airy for a sour cocktail while still being a great choice for neat drinking. 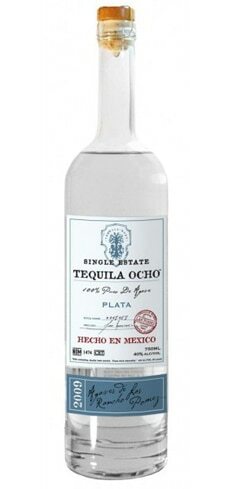 Credit the rich red Highlands soil (or maybe the distillery’s secret process) for this un-aged white tequila. emanates almonds and hazelnuts – almost like a latte, with a sweet and lingering finish. The body is silky and smooth, making it a light option for sipping or perfect in an old-fashioned. Hold on to your hat – this tequila is 110 proof and “directo de Alambique” – that is, straight from an Alembic still more commonly used in cognac production. The nose is greeted with crisp cucumber and herbs, with a hint of smoke. An all-encompassing mouthfeel is made more vibrant with lingering black pepper. Drink in a spritzer with soda or tonic water, or in a Paloma with grapefruit. If there ever was a tequila to go with Italian food, this is it. Made in the same fashion as the namesake’s founder in 1795, this Jose Cuervo’s vegetal, thyme-like qualities work well with citrus (hello, margarita!) 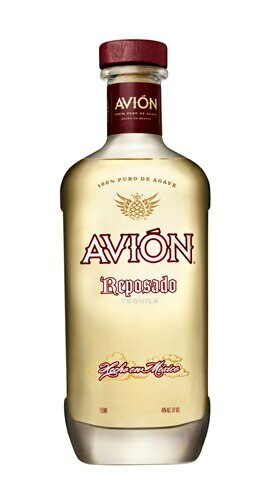 while exemplifying the peppery character we’ve come to love in un-aged tequilas. Better still, you can’t beat the value for price. Aged in American oak barrels for up to seven months, this reposado takes on toasted notes at first whiff — think crème brulee or flan. Consequently, the taste is rather surprising, with vegetal and tropical fruit notes. 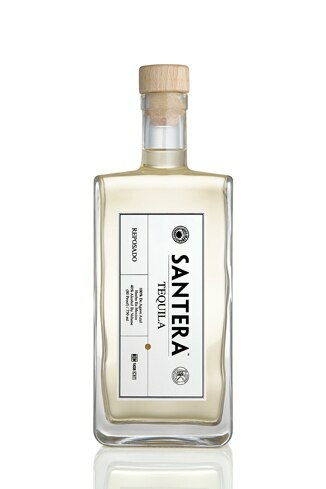 Santera Reposado Tequila makes for a balanced and dynamic choice for mixing. 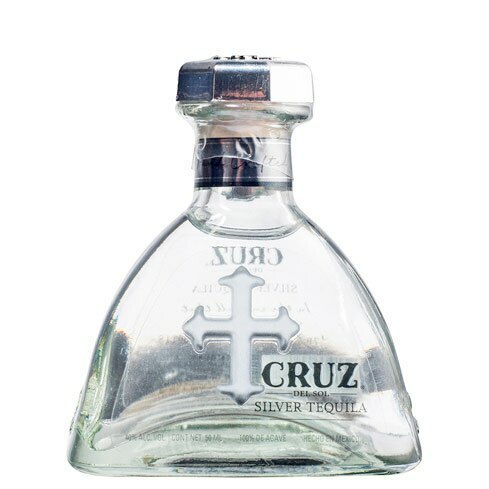 Sure, this is Justin Timberlake’s silver tequila, but it can stand on its own without the celebrity hype. Its triple distillation (many tequilas are distilled only twice) limits the tang, creating a sweet, medium finish with banana, cinnamon and mango notes. Forget the rum in that Dark & Stormy — this is best enjoyed with with ginger beer and a pinch of lime. Bottled with agave from a single estate, this Jalisco tequila smells rich and balanced, but with a buttery tease. Gardenia follows on the palate and hits all the sensors on the inside of the cheeks, allowing it to play beautifully in savory and bitter cocktails. 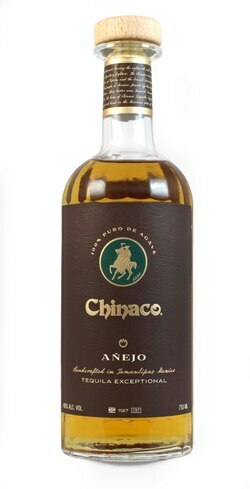 Each ranch from which the agave is derived is handily indicated on the bottle. Waft this organic tequila under your nose and it’ll smell just like fall – crisp apples with just a little smokiness, like a campfire. 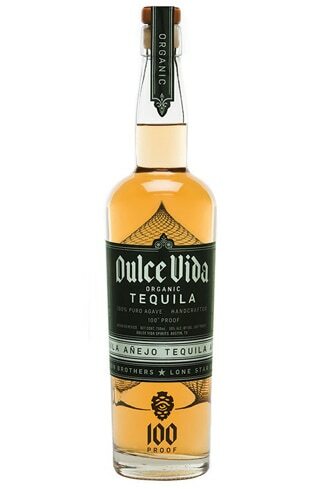 The winner of the 2011 San Francisco World Spirits Competition, this well-rounded tequila packs a punch on the palate with notes of caramel apple and orange peel.